Nils Chudy, Tim Enthoven; what do these Design Academy alumni have in common? They were all awarded for the René Smeets Awards. The award, that is celebrating its 25 years of existence, selects each year a promising designer who attains a high degree of professionalism both in the development of the design process and the end result of the graduation project. The student has worked together with manufacturers and the product is potentially feasible. The winner of the René Smeets Award receives a sum of € 2,000 (and eternal glory). In addition to the prize money, the winner receives support from Syntens to develop a business plan. In collaboration with the Louis Kalff Institute, the jury members & winners of the René Smeets Awards we will discuss which designs comprise our history and future. Nils Chudy, Jeroen Verhoeven, Tim Enthoven; what do these Design Academy alumni have in common? They were all awarded for the René Smeets Awards. The award, that is celebrating its 25 years of existence, selects each year a promising designer who attains a high degree of professionalism both in the development of the design process and the end result of the graduation project. The student has worked together with manufacturers and the product is potentially feasible. 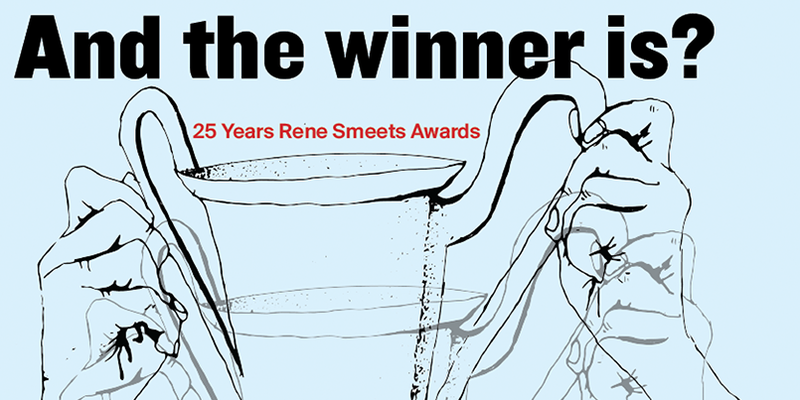 The winner of the René Smeets Award receives a sum of € 2,000 (and eternal glory). In addition to the prize money, the winner receives support from Syntens to develop a business plan. Nils Chudy graduated at Design Academy Eindhoven with Miito an innovative product that heats liquids directly in the vessel to be used, hence eliminating the heating of excess water. Simply fill your cup with water, place it onto the induction base and immerse the rod in the liquid. Philips Consumer Lifestyle, BG Domestic Appliances, Amsterdam Senior Director Consumer Marketing GarmentCare. Designer Lotty Lindeman, scheublinlindeman, graduated in 2006 with Grensgeval a project that was awarded for the Rene Smeets awards.